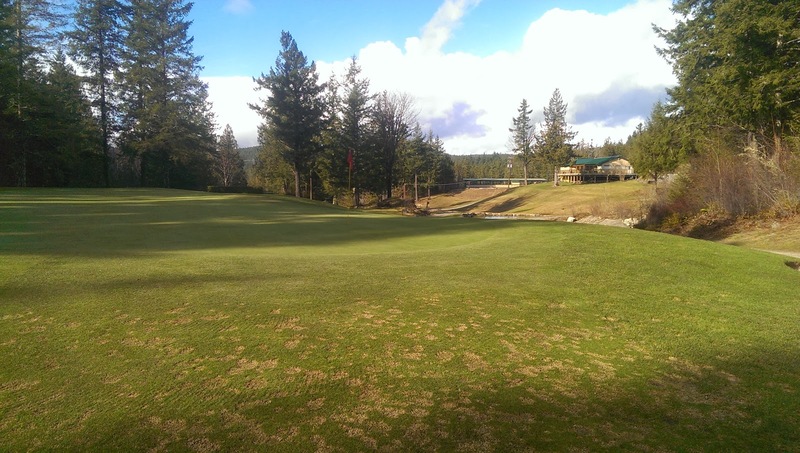 My approaches have always been hammered by fusarium during the cool, wet winter months. 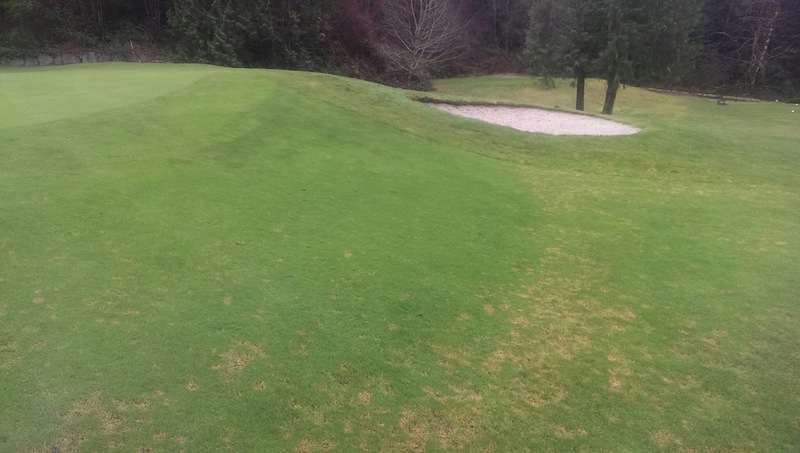 Last year I hypothesized that most of the damage caused by fusarium was a result of the mowers spreading the disease around and that we might be able to reduce this damage by using Primo in the winter. This winter I decided to try out iron and primo to try and reduce the severity of the fusarium on my approaches. As you can see from the above picture taken on Jan 5 2015, the plan appears to be workin. No other products have been applied to the approaches and traditional pesticides are never applied to the approaches except for minimal overlap from the greens applications. Recent research has shown that at putting green height a rate of 97.65kg iron sulfate/ ha every 2 weeks provided almost complete control of fusarium during the winter. Because my approaches are cut at a much higher HOC I halved this rate for my approaches and have stretched the interval to 2 months. So far I have only made one application at 50kg iron sulfate/ha on Nov, 7, 2014. I plan to make another application this week if the ground thaws enough to get my sprayer out. Perhaps a monthly interval would work best in the future. 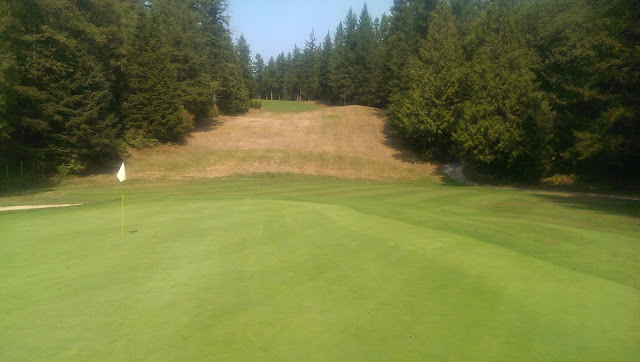 I also wanted to reduce the amount of mowing that the approaches required. I applied Primo Maxx on Nov 7th right after they were mowed for the last time in 2014. They currently still don't need a mowing although it would sure help to clean them up. As there is almost no golfer traffic this time of year I am not that concerned at how tidy the course looks. A have also applied this same plan to my tees with similar results. The last time the tees were cut was Nov 1 2014 and the iron and primo was applied on Nov 4 2014. There is just now some fusarium starting to appear. Perhaps I stretched the application interval too far. I plan on making another iron and primo app to the tees in the next week as well. Hopefully it's not too late. The total cost of this program has been about $25 for iron and $25 for the primo on approaches and green surrounds. The price for the tees is relatively the same. Not bad considering a fungicide application would easily cost 10x this. Despite the cool wet weather I have never seen so little fusarium on my tees and approaches at this time of year. I hope that it is a result of the iron and Primo applications. Time will tell. As for my greens......They aren't that bad but it has been a constant battle this winter. Maybe I should try some iron on them too? I need to bring back the good old check plot to get a better idea of what is really happening out there.